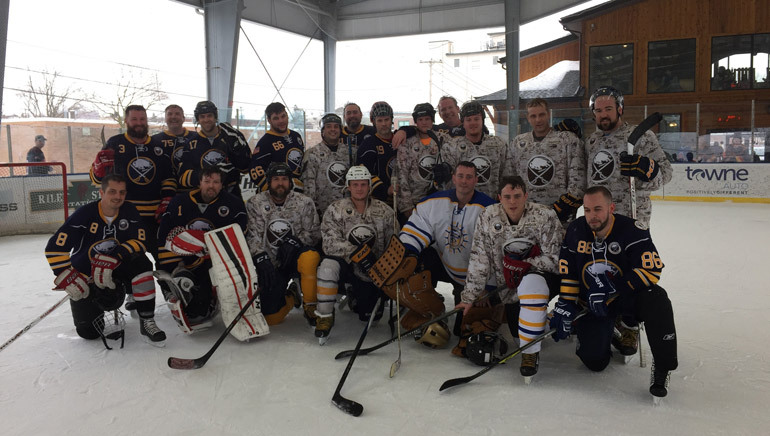 Sled hockey and stand-up hockey, one common thread - each player is a veteran. We are currently accepting new players for our stand-up and sled hockey teams. Click here if you are interested in joining our program. 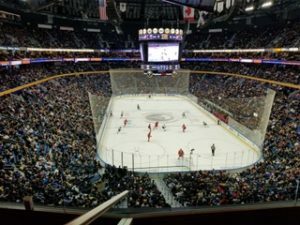 Check out the drawing for the lucky winner of the Sabres Suite Raffle! 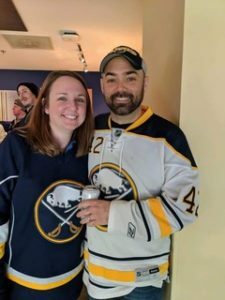 The winner received suite tickets for 16 people and $500 worth of food and non-alcoholic drinks for the Sabres game on February 7, 2019 against the Carolina Hurricanes. Follow our social media for more opportunities like this in the future! RJ Bushen, pictured above with his girlfriend, was the winner or the suite! 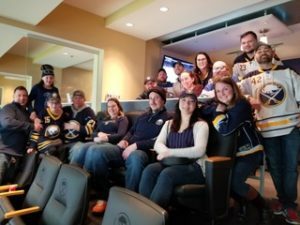 Thanks to the Buffalo Sabres and the donation of the suite, nearly $10,000 dollars was raised for the Buffalo Warriors program!